If you are charged with assault in Charles County, you face a sentence of years in prison upon conviction, but the La Plata & Waldorf assault lawyers at the Law Office of Hammad S. Matin, P.A. in La Plata will fight to see that doesn’t happen by preparing a strong criminal defense and advocating forcefully for your constitutional rights to a fair trial. Assault is generally thought of as a physical attack of some kind. In that regard, it is often used interchangeably with Battery, or the two offenses are linked, as in Assault and Battery. Strictly speaking, an assault occurs when you attempt to touch another person without their consent and place that person in fear that you will touch them; a battery occurs when an actual touching occurs. While we may commonly talk about assault in reference to all types of attacks or violence, the actual offense being charged is very important, as different crimes have different elements that must be proven or defended against and carry different penalties for conviction. In Maryland, you can be charged with Second Degree Assault simply by placing a person in reasonable fear of imminent bodily harm or causing physical injury, and you can be charged with First Degree Assault if “serious physical injury” actually occurs. The difference between the two crimes is significant. A conviction for Assault in the Second Degree can lead to up to ten years in prison, while a conviction for Assault in the First Degree can result in up to 25 years imprisonment. While the two crimes differ significantly in the maximum penalty that can be imposed, First Degree Assault and Second Degree Assault are both serious offenses, and in either case you will want to be represented by an experienced criminal defense attorney who knows how to defend against these charges. You may have defenses available such as self-defense or the defense of others. There may be a dispute over who started a fight, and the witnesses against you may be unreliable. People can also be arrested due to a case of mistaken identity. In any event, our La Plata & Waldorf assault defense lawyers will thoroughly investigate the incident and provide you with a strong defense, whether we are seeking a dismissal or reduction in charges or an acquittal at trial with a not guilty verdict. 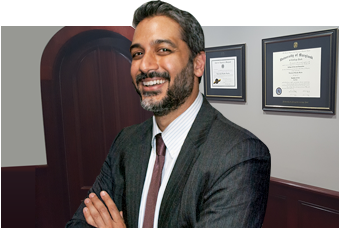 If you have been arrested on assault charges in Charles County, contact the Law Offices of Hammad S. Matin, P.A. for immediate assistance.